Ford’s F-Series line-up — which includes a mix of light to heavy-duty models — is the country’s best-selling nameplate, with General Motors’ Chevrolet Sierra and Fiat Chrysler’s Ram pickups close behind. They’re also among the industry’s most profitable products, according to industry analysts, Ford last month noted that sales of the F-Series offset the automaker’s overseas losses during the fourth quarter. While pickups, in general, deliver substantial profit margins, it’s the heavy-duty models that really give a lift to the bottom line. Data from J.D. Power and Associates puts the average price at $44,000, though well-loaded models routinely climb to as much as twice that. It’s no wonder, then, that all three of the domestic manufacturers are putting so much emphasis on the Heavy Duty versions of their full-size pickup lines. That includes all-new 2020 HD models, short for heavy duty, from both GM and Ram, as well as a major update of the Ford models. General Motor’s GMC brand jumped into the fray last month with an all-new version of its Sierra truck. Sibling Chevy followed last week with the Silverado HD unveiled to the public at the Chicago Auto Show. “We are so bullish about (these) trucks this year (that) we predicted stronger than expected earnings for 2019,” GM President Mark Reuss said during a sneak peek presentation for journalists at the Flint, Michigan plant building both Sierra and Silverado HD models. The problem is that GM isn’t the only HD truck maker looking to increase its sales. And that, said analyst Peterson, is triggering “a war” for market dominance. The challenge for manufacturers is figuring out what buyers want. That’s not as easy as it might seem, as the average heavy-duty buyer has changed over the past several decades. 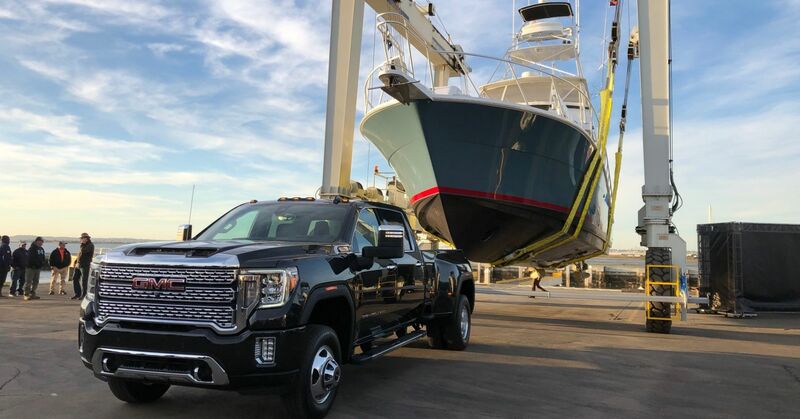 Where they once were largely made up of commercial users — contractors, delivery services and builders, for example — non-commercial buyers now make up two-thirds of the market, according to Duncan Aldred, the vice president of the GMC brand. While function wins out over form, HD buyers do have some things in common with buyers of light-duty trucks and, indeed, luxury car buyers. They’re increasingly interested in upscale accoutrements, such as the heated, cooled and massaging leather seats found in the Ford Super Duty Limited. 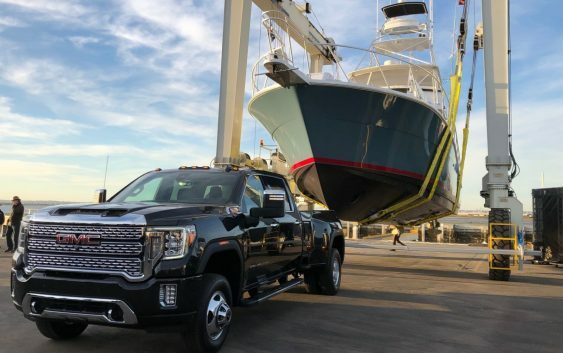 While GM isn’t pushing quite as far up-market as Ford, it is adding new, high-line versions of its HD trucks, including the Silverado High Country, and the GMC Sierra Denali. The carmaker has not yet revealed pricing, but Chevy’s High Country is expected to top out somewhere in the $80,000 range, a source at the division told CNBC, while the Sierra Denali should come even closer to the Ford Limited. The pickup market is now the only place where Detroit’s so-called Big Three can still claim dominance, outselling their two import rivals by over to-to-one last year. Ford alone sold 909,330 full-size pickups in the U.S. in 2018, while Toyota moved just 118,258 of its Tundra trucks. Nissan’s Titan lagged even further behind, with sales of just 50,459. Nissan does sell a medium-duty version of the Titan, but it’s barely an asterisk on the sales charts. Neither import offers a heavy-duty model. And that’s the way Detroit’s automakers hope it will stay. Without pressure from the imports they can maintain hefty prices and the big margins that keep their balance sheets in the black.